During Fabrication and Erection works we used welding electrodes for welding process. This article let us discuss about the weld metal deposition calculation. Welding Electrodes available in markets are 2.5 mm, 3.15 mm, 4 mm & 5 mm with a length of 350 mm or 450 mm. The size mentioned 2.5 / 3.15 / 4 & 5 mm are only core material i.e excluding coating material. The length mentioned is full length including stub. For calculation of welding deposition per rod we should know the effective length of Electrode usage. 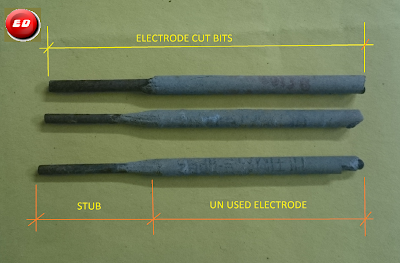 Note that Electrode 100% can not be consumed due to space between welding holder with work piece. Generally 75-100 mm of electrode will not be used depends upon the nature of work. 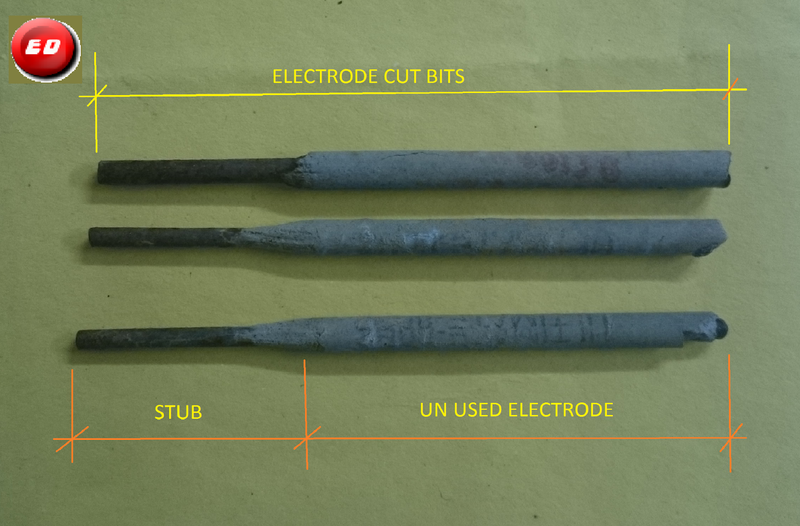 Unused welding electrode including stub length. Industrial practice we used to call it is cut bits. It is shown in below picture. 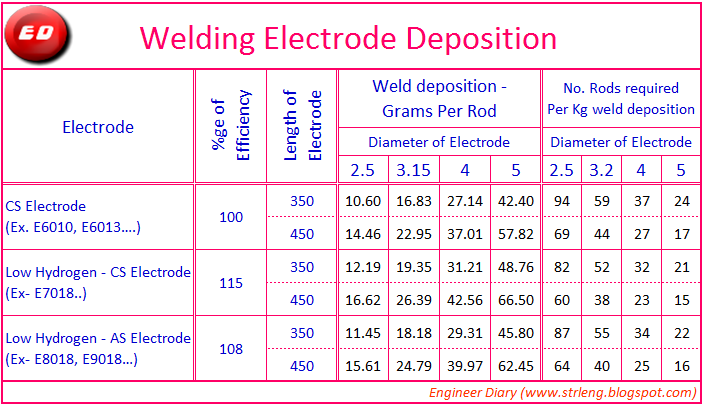 For calculation purpose of welding deposition per rod we should know the effective length of welding electrode usage. Percentage of efficiency will vary based on type of electrode. For CS Electrode is 100%, If it is Low Hydrogen AS electrode is 108% and If it is Low Hydrogen CS electrode is 115%. This is due to flux coating material. This page is insightful and helpful. Lots of people will assert that everything in your site is great. Precision Drawell's provides quality steel fiber in flooring. Great blog shared. If anyone looking for steel fibre for precast then contact Precision Drawell. Thanks for sharing. Thanks, for such a great post. I have tried and found it really helpful. For more details to visit chq wire manufacturer in India. If you want to buy spreader beam calculator then SMART Rigger Software is one of the best choices you have.